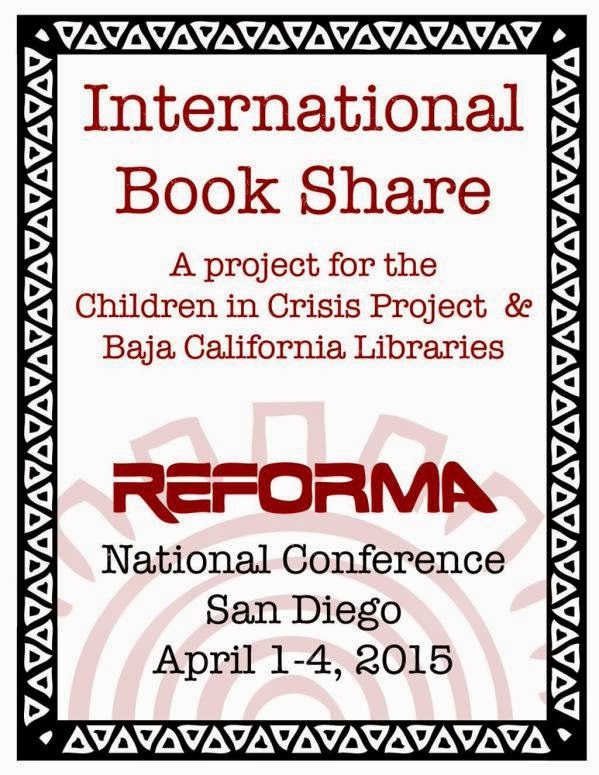 REFORMA is the National Association of Librarians to promote library and information services to Latinos and the Spanish speaking. It is an affiliate of the American Library Association (ALA). They develop library collections to include Spanish language, bilingual and bicultural books as well as other materials to meet the needs of the Latino community. 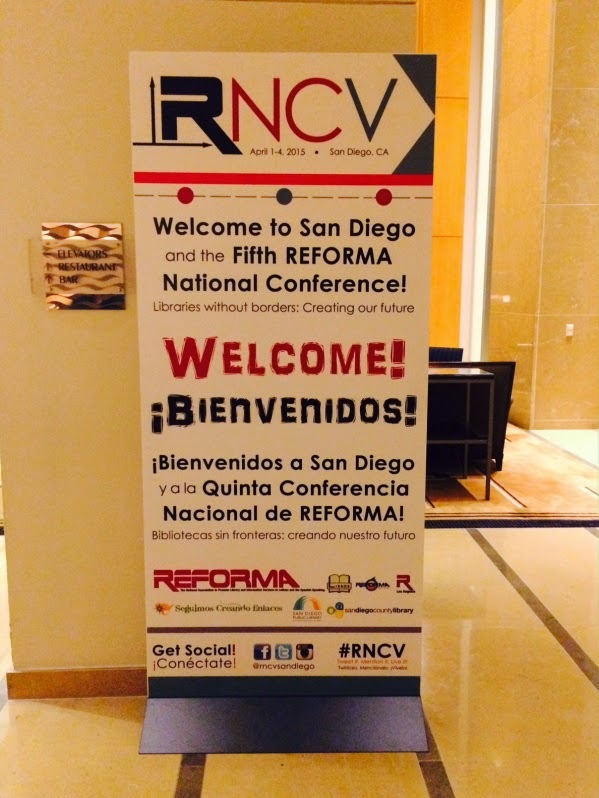 REFORMA’S fifth national conference (April 1-4) was held in San Diego at the Omni Hotel. The theme was “Libraries Without Borders: Creating our future / Bibliotecas sin fronteras: creando nuestro futuro”. After the author panel, I went to the book exhibit hall and perused the myriad of books for adults and children. Books are my dear friends and I felt so giddy to be in their company. 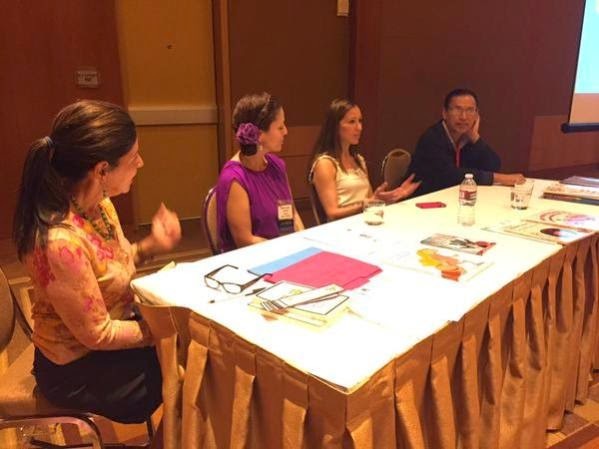 I got to chat with librarians from Oakland, Portland, Santa Barbara and Texas. After sharing a few laughs with a lively librarian from Ponderosa Library (shout out to Ponderosa! ), I even thought to myself, “I think I might really like being a librarian.” It was clear by their enthusiasm that they truly love being librarians and the service they provide their communities. The REFORMA conference was pretty big and while I didn’t get the opportunity to attend the entire conference, the little bit I did see was impressive. Later that Friday evening I walked around San Diego’s Gaslamp Quarter. It was a delight to stroll and take in the beauty of the buildings, restaurants, shops and Petco Park. 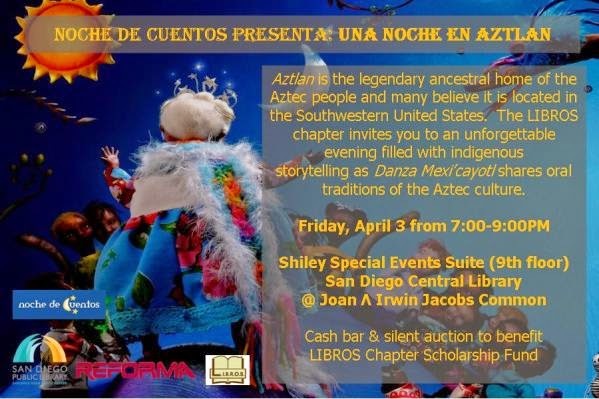 After my stroll, I made my way to the San Diego Central Library to attend the event, Noche de Cuentos. Firstly, let me say that this library is stunning. I couldn’t get over the views, the size and grandeur of it. 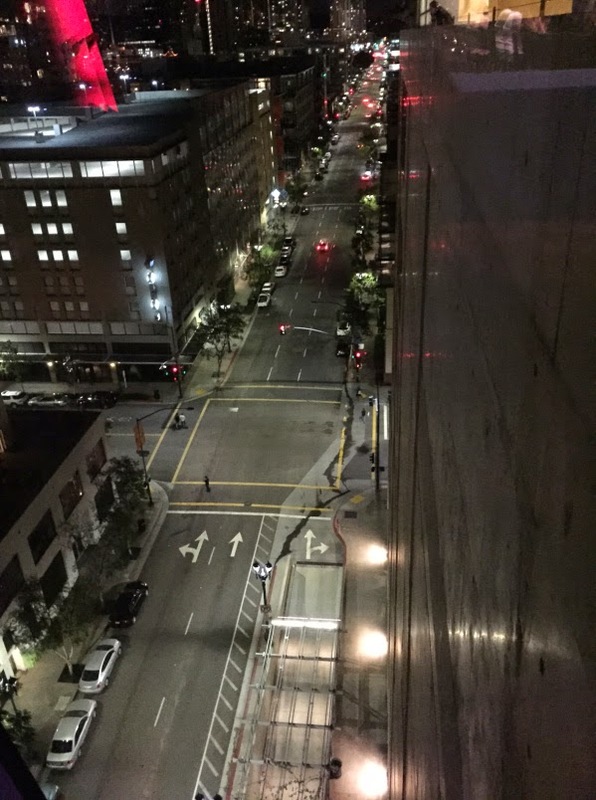 Since the event was on the 9th floor, I felt as if I were flying over the city. I found a spot next to this window and enjoyed the warmth and camaraderie of the group. The beats of Danza Mexi’cayotl were palpable. This scene reminded me of my college days long ago, as I learned with earnest about my Latino and Indigenous roots through literature, oral story telling and dance. Lastly, as I saw the many librarians carefully looking at books, I thought of Mrs. Maria Fernandez, Felton School’s librarian. We’re lucky to have her. Librarians are the gatekeepers of books and hope, because it is through their work that our children and communities continue to thrive.